As you are interested in getting answers, walkthrough, tips, helps and cheats of recent popular iOS game What Restaurant by Yasarcan Kasal, so we here included all the solutions of this addictive game for you to enjoy on your iPhone, iPad, iPod touch. 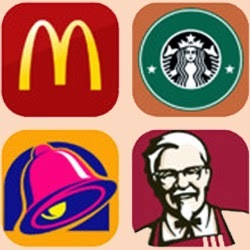 If you unable to recognize a restaurant please use our answers and pass the level you got stuck. The game holds countless restaurant names to guess by you. Look at the hinted photo, catch what they are and write them. If you want assistance, please use our solutions. Tech game help. Powered by Blogger.